During our recent visit to Namibia, we had the opportunity to visit the Harnas Wildlife Foundation and Guest Farm. The Harnas Wildlife Foundation is a not for profit organization whose mission is to rescue and rehabilitate wild animals and, if possible, return them to the wild giving them a second chance at life. Harnas is located in the Omaheke Region in the central east Kalahari Desert of Namibia. The closest major town to Harnas is Gobabis, capital of the Omaheke Region. Harnas' many missions strive "to protect an environment that includes all forms of life, ensuring endurance and sustainability." The animals at Harnas are accepted and protected for various reasons. Some are injured. Some are orphaned. Some are unwanted pets. Others are problem animals, either threatening people and their livestock or competing with livestock for precious resources. 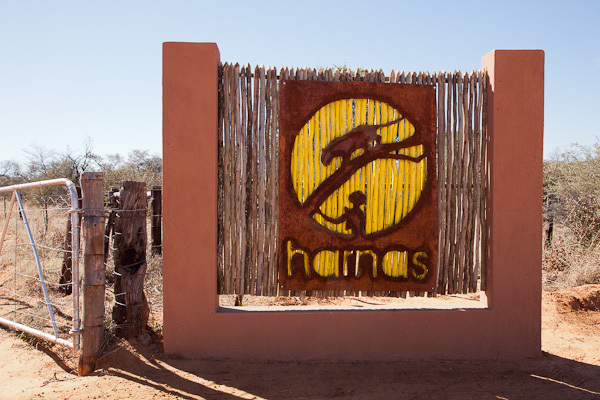 Harnas is the home to many species of animals including, but limited to, lions, cheetahs, hyenas, mongooses, caracals, meerkats, leopards, crocodile, African wild dogs, ostrich, bat eared foxes and baboons. The Harnas Life Line Project helps rehabilitate animals and release them successfully back into the wild. The Wild Dog Project strives to reintroduce African Wild Dogs into the wild to restore populations of the most endangered predator in Africa. The Caring Hands Project helps the San Bushman people assimilate into modern society while preserving their nomadic culture and heritage by offering them various job opportunities at the foundation. The Project also includes a day care center to help the children of the San people prepare for modern and formal schooling ahead of them. So many wonderful missions and visions! It takes many funds to carry them out. 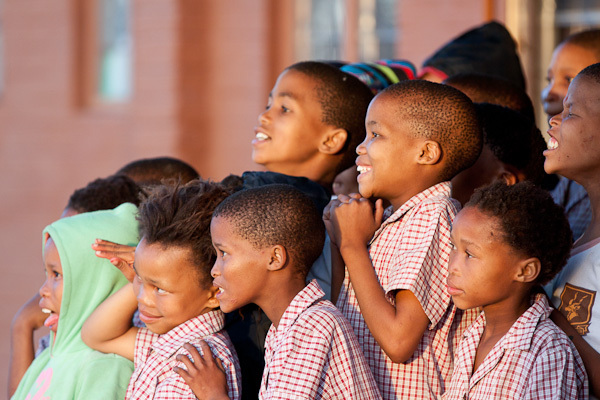 In addition to direct monetary donations, people can help support the work at Harnas in a variety of other ways; like 'adopting' one of the animals or by sponsoring one of the Bushman students. Harnas also has guest accommodations from rustic chalets to campsites for visitors to come and see firsthand the wonderful dreams Harnas is realizing and to observe animals at close range- many which are elusive in the wild. It was fascinating to stay at Harnas and watch the daily buzz of activity around us! Oh, Did I mention photography? Harnas offers photographers the opportunity to photograph the animals in residence, and while this is not the main mission or purpose of the Foundation, it is a benefit to both the photographer and to Harnas. Photographers can photograph animals they would not readily or commonly see in the wild and use the photos to educate the public and to help promote the importance of their conservation. In return, Harnas receives some most needed funds to keep their main missions alive and successful. While wildlife rescue and rehabilitaion centers do not promote photography as their primary purpose, they certainly can offer some amazing photo opportunities. You may want to check out wildlife rescue and rehab centers in your area as a photography resource. In the meantime, I invite you to visit the Harnas Wildlife Foundation web site at http://www.harnas.org/ to learn more about them. You can also follow their news and 'like' them on Facebook.